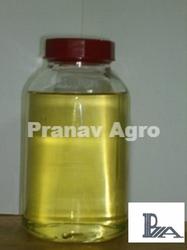 We are leading Manufacturer and supplier of Oleic Acid. 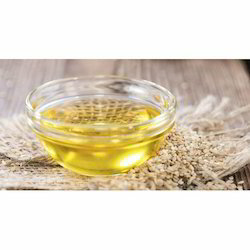 Our offered products are Fatty Acids, Non Edible Oils and Industrial Edible Oils. 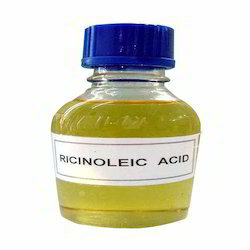 We are offering Ricinoleic Acid to our clients. Oleic Acid is formulated using best grade chemicals compounds, which are sternly tested and analyzed on well-defined quality parameters by our quality controllers. With the help of our adroit and determined professionals, we are engaged in processing a large variety of high quality Oleic Acids. These acids are formulated using best grade chemicals compounds, which are sternly tested and analyzed on well defined quality parameters by our quality controllers, who are well versed in their respective domain. To suit the clients’ budgetary limit, we offer our range at most economic rates. 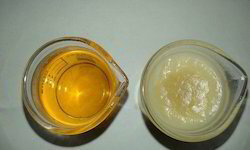 We are offering Oleochemicals to our clients.